Hey party peeps! The holidays are coming and with it, LOTS of holiday entertaining! WHO’S READY? Well, today I’m going to give you an amazing head start! 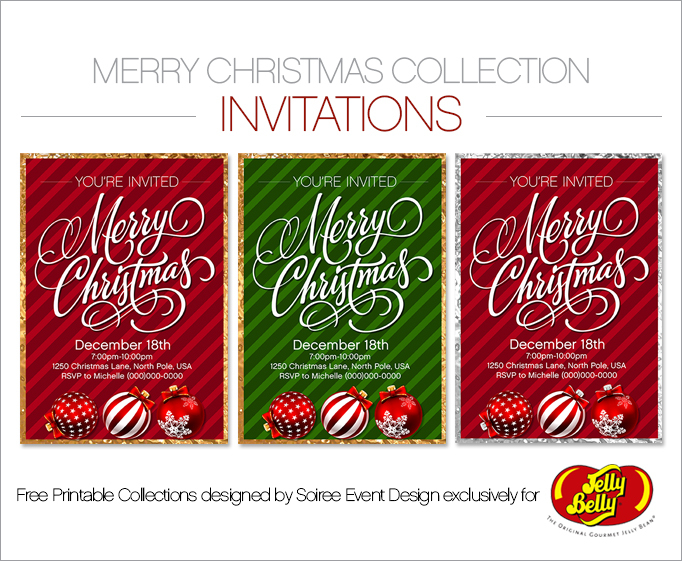 I’m so excited to debut 4 FREE Holiday Printable Collections I designed exclusively for Jelly Belly and now’s your chance to download these FREE PRINTABLE HERE for a limited time. To give you ideas on how to use the collections, I will debut each collection on my blog starting this Monday so you can check out how I styled each of the holiday collections. Monday I’ll debut the Thanksgiving styled shoot. In the meantime, check out all four collections and download them for future use. 4 PRINTABLE COLLECTIONS IN 3 DIFFERENT COLORWAYS! 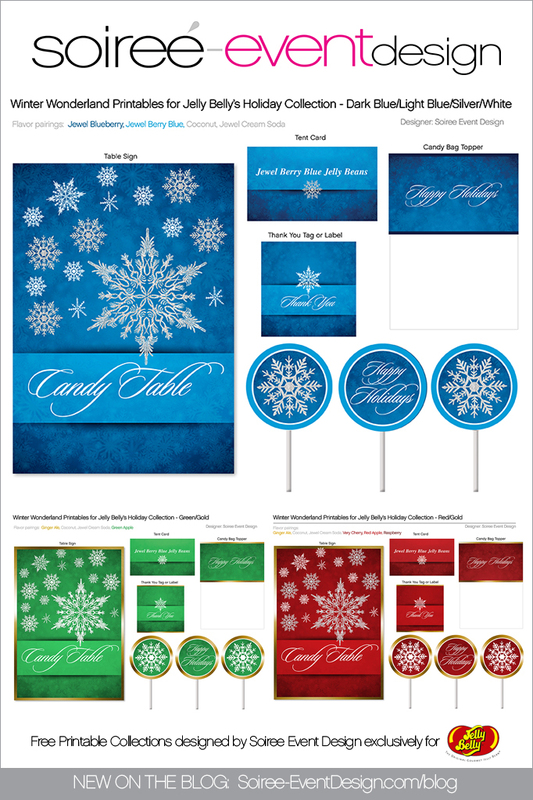 The printable collections include everything you need to personalize and customize your candy tables. Simply download the PDF files to your computer, type in your personalized info and print as many as you need. GIRLFRIEND TIP: You can use these printables in other ways besides on a candy table. Get creative and use the circles for gift tags. The bag toppers filled with jelly beans make great holiday teacher gifts and the tent cards you can personalize with guest names and use them on your holiday dining table as placecards! 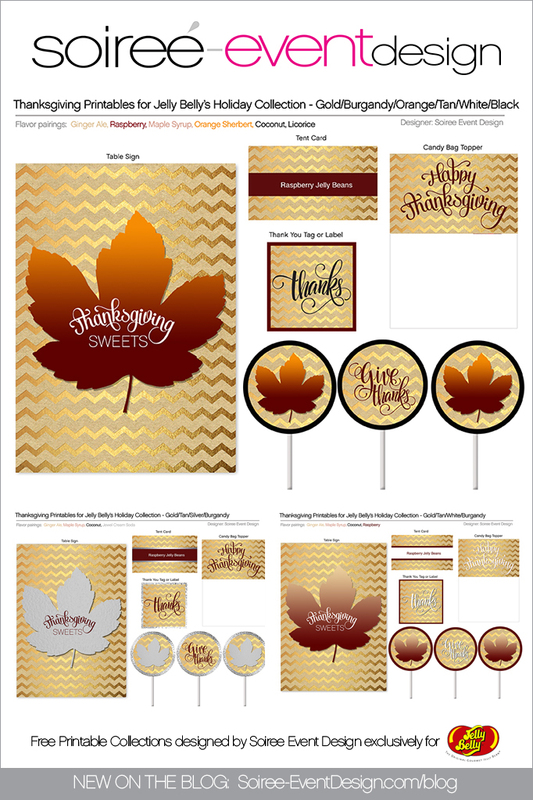 DOWNLOAD ALL 3 “THANKSGIVING” HOLIDAY PRINTABLE COLLECTIONS FOR FREE HERE. 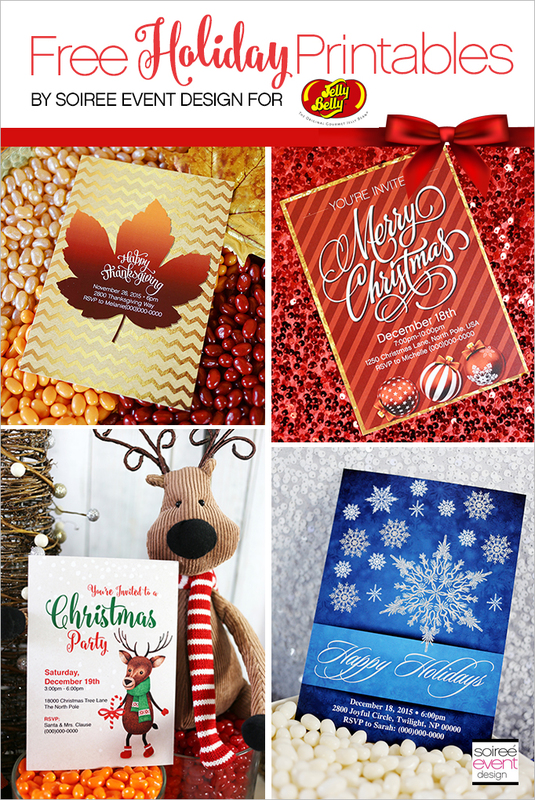 DOWNLOAD ALL 3 “MERRY CHRISTMAS” HOLIDAY PRINTABLE COLLECTIONS FOR FREE HERE. 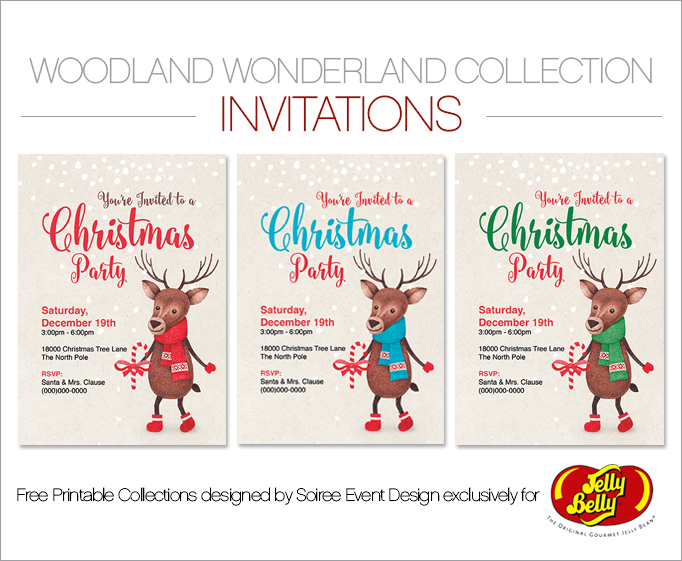 DOWNLOAD ALL 3 “WOODLAND WONDERLAND” HOLIDAY PRINTABLE COLLECTIONS FOR FREE HERE. 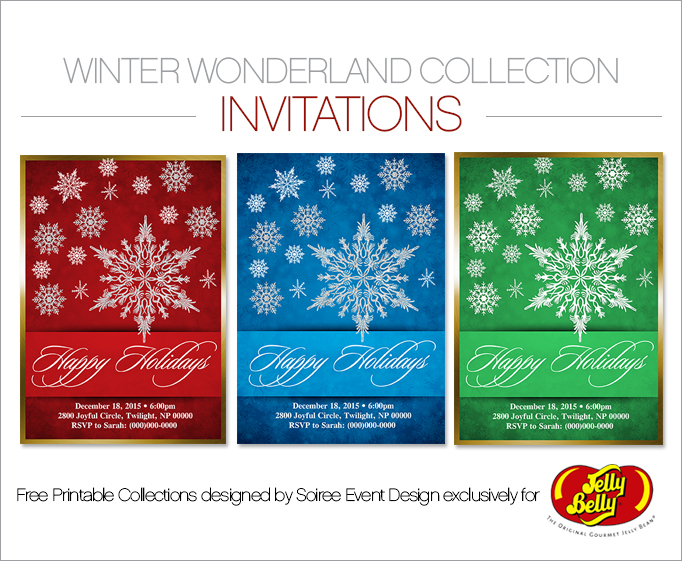 DOWNLOAD ALL 3 “WINTER WONDERLAND” HOLIDAY PRINTABLE COLLECTIONS FOR FREE HERE. CLICK HERE to check out my Christmas Pinterest board for LOTS of Christmas and Holiday inspiration and ideas. 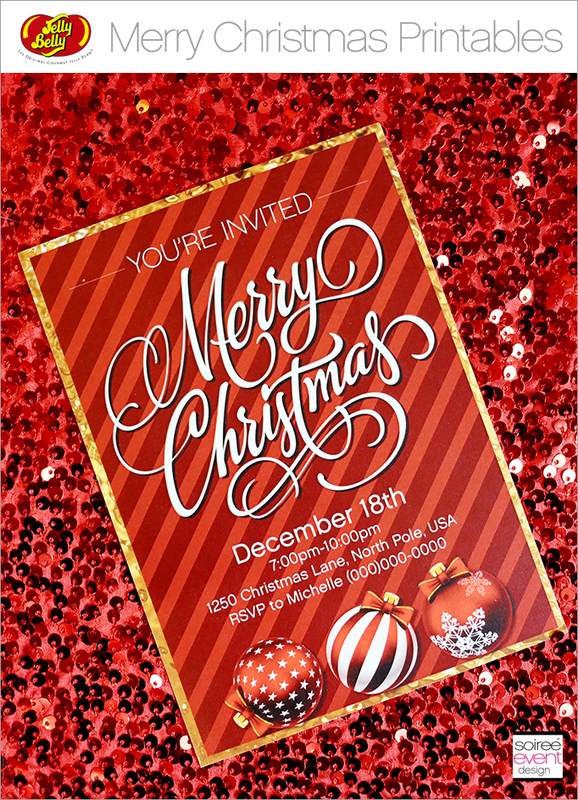 Follow Soiree Event Design’s board Christmas Inspiration on Pinterest. I love these adorable printables! The reindeer ones are my favorite. I could definitely use some of these for Christmas dinner! Oh those are really cute. I think the fox with the scarf is adorable as well. A Jelly Belly theme for a party? That is the very definition of awesome. I love it! These are beautiful! You have such an artistic eye. Gorgeous!!! I can’t figure out which is my favorite! Thank you for the free printables. The Thanksgiving set is gorgeous!! I am crazy about printables this year and you’ve got some really amazing options! I see some for pretty much every occasion and I can’t wait to start printing them out! I LOVE Jelly Belly – one of my favorite candies! 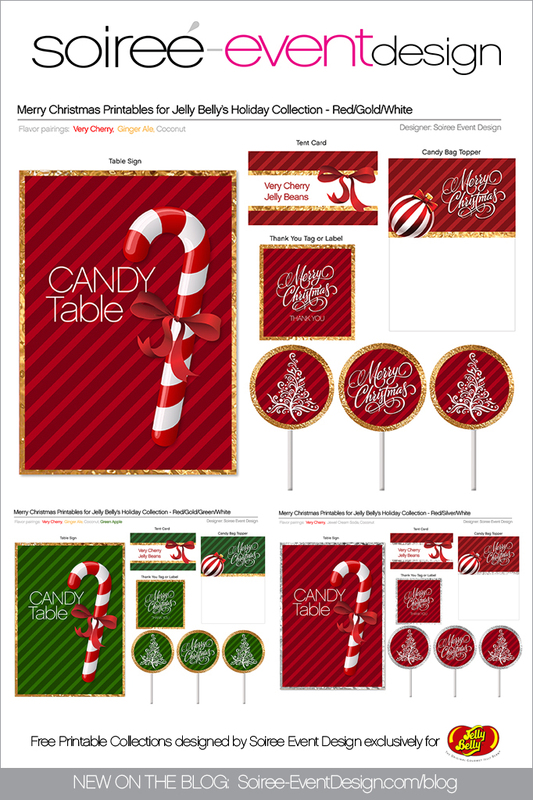 Those printables are so pretty and festive! I love Jelly Belly beans and I think it would be cute to include a few in cello in the cards, too. They’re all great thanks for being so generous. WOW! These are all stunning!! I love that Jelly Bellys were used to help with decor. These printables are all amazing. Candy tables are my fave part of events! These are all so pretty. I really need to figure out what colors I’m going to have around the house. All my decorations are still in storage! Wow! These are truly beautiful, and artistic designs. I love them! I’ll definitely be looking into these for my holiday cards. These are all beautiful printables. Those jelly bean flavors look and sound good too. 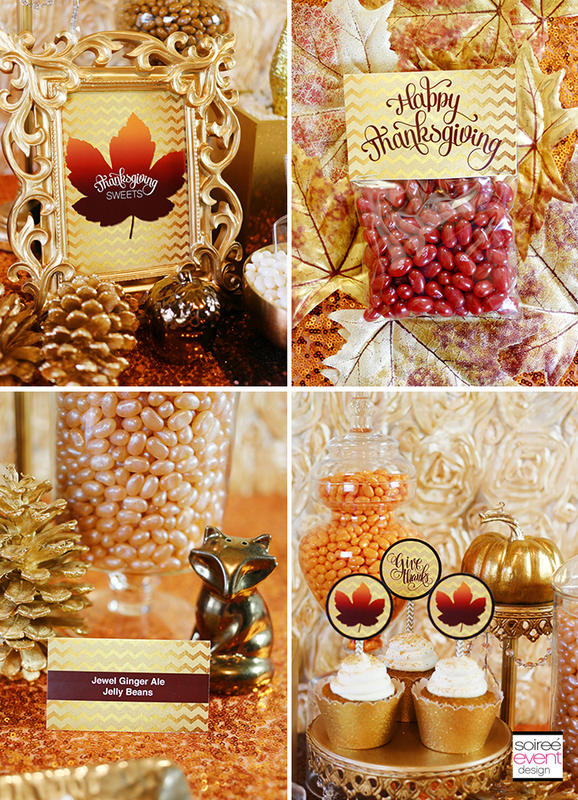 I’m usually more of a silver girl, but I love the gold overtones in your Thanksgiving and one Christmas version decor and cards. It’s such a warm, inviting look! These are so beautiful! You are very creative! Will share your post with my friends! These are gorgeous printables. 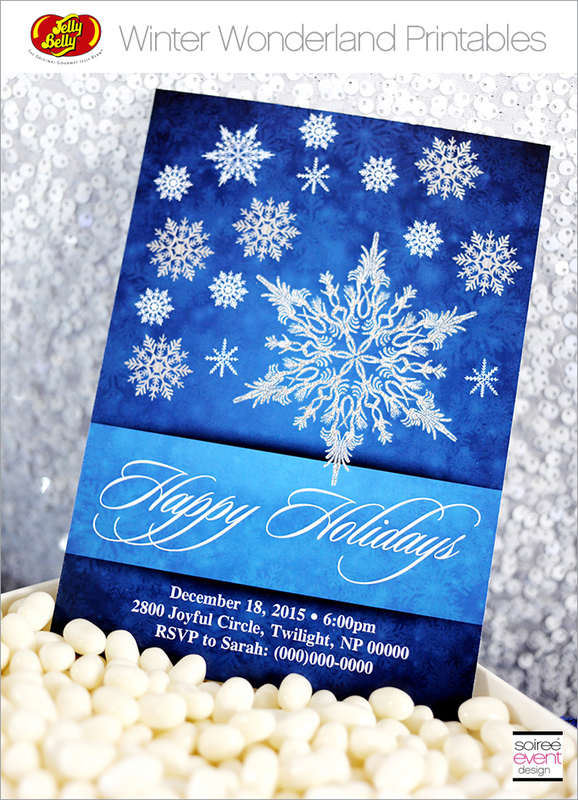 I love the holiday invitations. And Jelly Bellys are the best! These are all so pretty. I really love the gold and red themes.Thank you for sharing. Oh my goodness these ideas are beautiful! 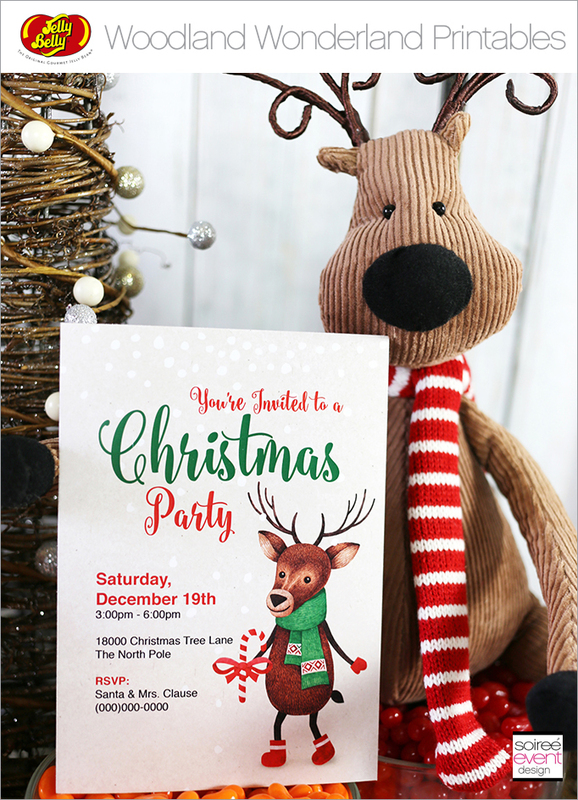 I love the picture of the reindeer with the Christmas party invite! A must try! These are really nice items. ittle touches like this make a place better and just a little sweeter. Awesome! I will definitely be taking advantage of these free printables. They are all so cute. Looking good girl! Such fun collections. I like all four collections but particularly the Merry Christmas. The red and green color scheme makes it look so inviting. So many great ideas to make some fun gifts for the season. So colorful too! This post came just in time. My cousin and I are in charge of this year’s family Christmas get-together and the ideas you shared helped us so much in our planning stage. I love all the collections – so pretty, colorful and elegant. And I love how fun the woodland collection is. 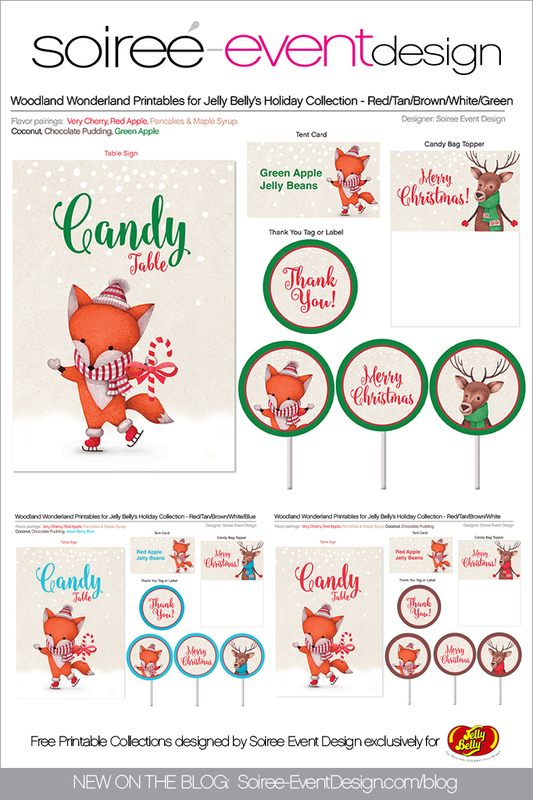 Those are adorable printables!! I love the fun fonts and great colors!! Great job!! You are so awesome and creative. 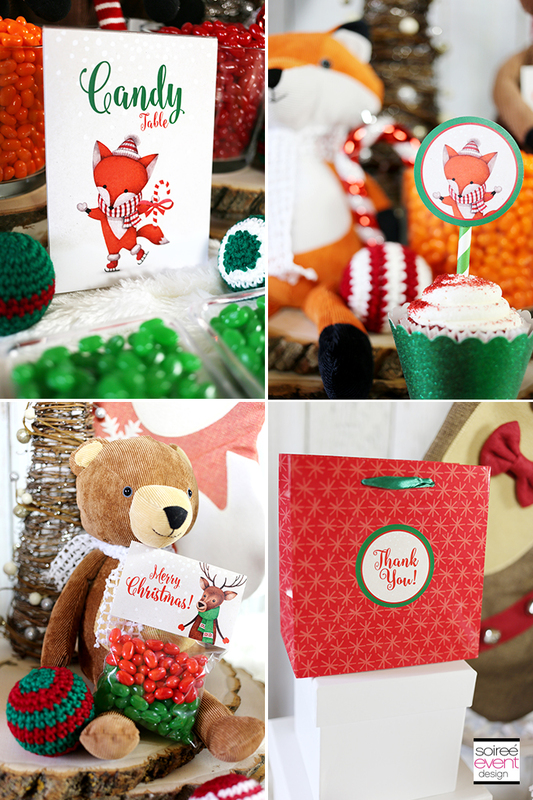 I love these ideas especially the little foxes. The printables are simply beautifully! I also love that they’re exclusively designed for Jelly Belly – my favorite jelly beans. 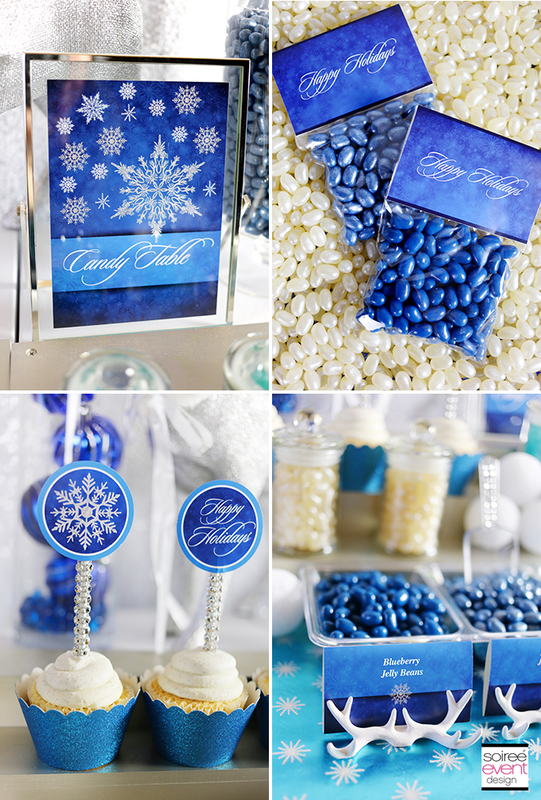 Great candy table ideas and printables! 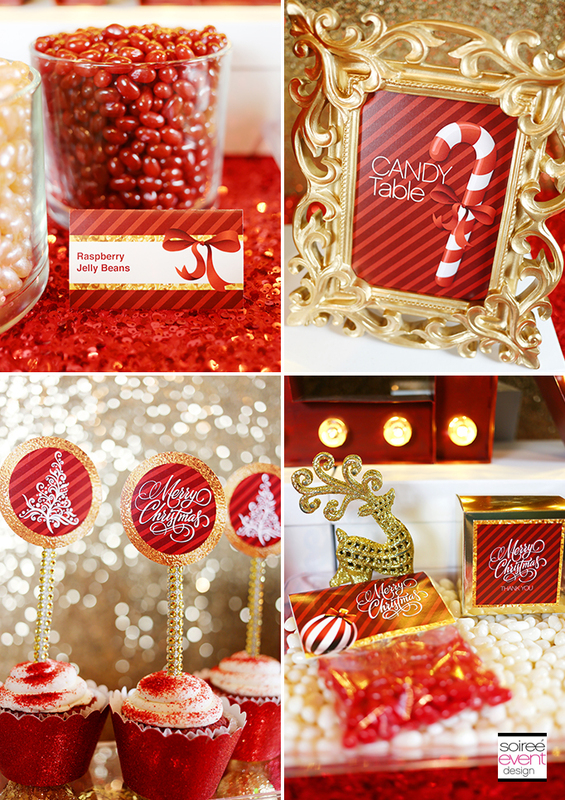 I love creating candy tables as they add a nice touch to a holiday get together. These are beautiful printables! I love how you’ve matched them to their corresponding jelly beans. Takes all the brainwork out of setting up a candy table! 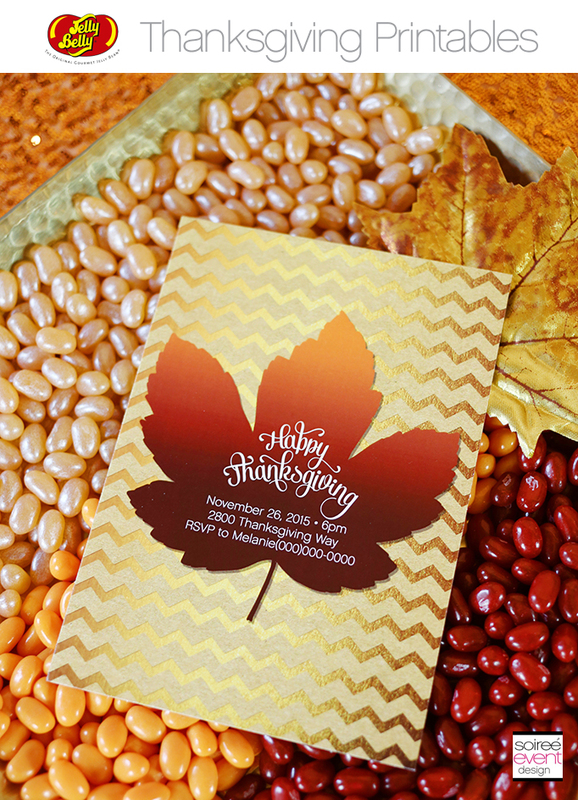 These are great, I especially love the shiny gold Thanksgiving printables.